The Yiddish language is a wonderful source of rich expressions, especially terms of endearment (and of course, complaints and insults). This article is a follow up on Ten Yiddish Expressions You Should Know. Jewish scriptwriters introduced many Yiddish words into popular culture, which often changed the original meanings drastically. You might be surprised to learn how much Yiddish you already speak, but also, how many familiar words actually mean something different in real Yiddish. A good homemaker, a woman who’s in charge of her home and will make sure you remember it. Or bobe. It means Grandmother, and bobeshi is the more affectionate form. Bubele is a similarly affectionate word, though it isn’t in Yiddish dictionaries. More polite than bupkes, and also implies a strong sense of nothing; used in phrases such as “gornisht helfn” (beyond help). A non-Jew, a Gentile. As in Hebrew, one Gentile is a goy, many Gentiles are goyim, the non-Jewish world in general is “the goyim.” Goyish is the adjective form. Putting mayonnaise on a pastrami sandwich is goyish. Putting mayonnaise on a pastrami sandwich on white bread is even more goyish. In Yiddish, it’s spelled kibets, and it’s related to the Hebrew “kibbutz” or “collective.” But it can also mean verbal joking, which after all is a collective activity. It didn’t originally mean giving unwanted advice about someone else’s game – that’s an American innovation. Or better yet, klots. Literally means “a block of wood,” so it’s often used for a dense, clumsy or awkward person. See schlemiel. In popular English, kvetch means “complain, whine or fret,” but in Yiddish, kvetsh literally means “to press or squeeze,” like a wrong-sized shoe. Reminds you of certain chronic complainers, doesn’t it? But it’s also used on Yiddish web pages for “click” (Click Here). Or nash. To nibble; a light snack, but you won’t be light if you don’t stop noshing. Can also describe plagarism, though not always in a bad sense; you know, picking up little pieces for yourself. Exclamation of dismay, grief, or exasperation. The phrase “oy vey iz mir” means “Oh, woe is me.” “Oy gevalt!” is like oy vey, but expresses fear, shock or amazement. When you realize you’re about to be hit by a car, this expression would be appropriate. Or plats. Literally, to explode, as in aggravation. “Well, don’t plotz!” is similar to “Don’t have a stroke!” or “Don’t have a cow!” Also used in expressions such as, “Oy, am I tired; I just ran the four-minute mile. I could just plotz.” That is, collapse. To drag, traditionally something you don’t really need; to carry unwillingly. When people “shlep around,” they are dragging themselves, perhaps slouchingly. On vacation, when I’m the one who ends up carrying the heavy suitcase I begged my wife to leave at home, I shlep it. Someone with constant bad luck. When the shlemiel spills his soup, he probably spills it on the shlimazel. Fans of the TV sitcom “Laverne and Shirley” remember these two words from the Yiddish-American hopscotch chant that opened each show. Excessively sentimental, gushing, flattering, over-the-top, corny. This word describes some of Hollywood’s most famous films. From shmaltz, which means chicken fat or grease. Often used as an insulting word for a self-made fool, but you shouldn’t use it in polite company at all, since it refers to male anatomy. A long, involved sales pitch, as in, “I had to listen to his whole spiel before I found out what he really wanted.” From the German word for play. A non-Jewish woman, all too often used derogatorily. It has the connotation of “young and beautiful,” so referring to a man’s Gentile wife or girlfriend as a shiksa implies that his primary attraction was her good looks. She is possibly blonde. A shagetz or sheygets means a non-Jewish boy, and has the connotation of a someone who is unruly, even violent. Or shmuts. Dirt – a little dirt, not serious grime. If a little boy has shmutz on his face, and he likely will, his mother will quickly wipe it off. It can also mean dirty language. It’s not nice to talk shmutz about shmutz. A current derivation, “schmitzig,” means a “thigamabob” or a “doodad,” but has nothing to do with filth. Something you’re known for doing, an entertainer’s routine, an actor’s bit, stage business; a gimmick often done to draw attention to yourself. Or tshatshke. Knick-knack, little toy, collectible or giftware. It also appears in sentences such as, “My brother divorced his wife for some little tchatchke.” You can figure that one out. Rear end, bottom, backside, buttocks. In proper Yiddish, it’s spelled tuchis or tuches or tokhis, and was the origin of the American slang word tush. Female busybody or gossip. At one time, high-class parents gave this name to their girls (after all, it has the same root as “gentle”), but it gained the Yiddish meaning of “she-devil”. The matchmaker in “Fiddler on the Roof” was named Yente (and she certainly was a yente though maybe not very high-class), so many people mistakenly think that yente means matchmaker. Smart person. Literally means “Jewish head.” I don’t want to know what goyisher kop means. As in Hebrew, the ch or kh in Yiddish is a “voiceless fricative,” with a pronunciation between h and k. If you don’t know how to make that sound, pronounce it like an h. Pronouncing it like a k is goyish. Yiddish Language and Culture – history of Yiddish, alphabet, literature, theater, music, etc. Grow A Brain Yiddish Archive – the Beatles in Yiddish, the Yiddish Hillbillies, the Pirates of Penzance in Yiddish, etc. Literally, it refers to a traditional Jewish side dish composed largely of diced/sliced/mashed carrots. Colloquially, the word is used to mean: making a big fuss over a situation, and usually implies that the fuss being made is much greater than is warranted and is referred to as a making “big tzimmes” over a relatively trivial thing. A note on pronunciation: many words with an “er” or “ar”when spelled I heard as “ah” growing up, probably bc my family were all new yorkers. So for example “shtarker” was heard as “shtakah”,”schvartzer” was heard as”schvatzah” and “shander” was heard as “shandeh”. So many of these words I grew up with, and use, but didn’t even realize they were Yiddush! This is a great site. My grandmother used to sing a song to me when I was very little and draw circles on my belly, singing “Measala Mazala” and then tickle me. Could that be a Yiddish ‘jingle’ her mother did to her when she was a little girl? I saw a posting above that mazal means luck, and seeing it spelled that way, it clicked that this little song she sung could be Yiddish. Thanks for any info! To Bryan who said ‘spiel’ means story in Irish . It doesn’t!! Sceal is story in Irish. Cad e an sceal? – What’s the story. Isn’t the the definition of ‘chutzpah’ found in the old joke about the man convicted of murdering both his parents, who pleaded for mercy from the court on the grounds that he was an orphan? Question – Where can I find English words translated to Yiddish? As a South African Jew, I have noticed that sadly yiddish terms are being used less and less in SA. Our family do however always throw in some words when appropriate – a great language!! his shtick was so thick she was hurt. By the way u shud add meis kiet n drai mit nir kain kot -which means leave me alone or dont bother me. Until I was about 4 years old, I understood a bissele Yiddish & spoke less, mainly to Boobie [oo as in good, not goof] Sara, or Sonia, my ailing mom’s mom, then living her last months of life with us. Though here forty years by then, she, like many immigrants, preferred her first language with family & friends & to follow the news, sometimes bis radio, or read aloud to her. So, sitting under the table as she & my mom cooked & talked, I was learning more than kitchen/kiddie Yiddish… Then Boobie Sara died, & shockingly took my Yiddish with her, since my mom, rather than continuing to use it with me, her son & only child, held it back, as was also common then, to use as a secret code with adults & talk freely with Yiddish-speaking girlfriends. However, my dad knew much less of it than my mom, having lost his Yiddish-speaking mom when he was only eight to the 1918 “Spanish Flu” which BTW had actually come her from Asia. Anyway, he & my mom soon resorted to whispering, & yelling, in English. Thus, for about the last sixty years, Yiddish has remained almost literally my emotive mamaloschen, romantically preserved in my memory a a kind of Platonic mother tongue. Schmaltzy or not, it’s sometimes hard for me to hear or see it without feeling my face start to smile or my eyes tear up. So this site, & especially this discussion, which I’ve just read instead of working on a paper due tomorrow at 1PM, is bittersweet for more than one reason. There should really be info about how to pronounce these words!! Hey, it’s your assignment. Write all of it in Yiddish if you want… though you better check first that your teacher can read it. Speaking schwarza, it is NOT a bad word! It only means BLACK. If you know German at all, SCHWARZ = BLACK. A schwarza is a black person. PERIOD. It is we American Jews with pcness that attached the N-word connotation to it. It does NOT MEAN that at all. Poopik… Technically a belly button, used in Yiddish to denote something small & insignificant. 15 seconds Googling reveals 900 commonly used English words that are Arabic in origin, from admiral and albatross, through muslin and mattress, to zero – everyone should know the last one, since Arabic philosophers revolutionised mathematics by inventing the concept. It is not amazing that you can read my mind? Who is “wanting to smear and misrepresent”? Thank you for the update. I really was not aware that there were more Arabic words in English. 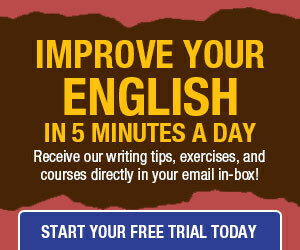 Perhaps you could write an article on Arabic in English usage for this website. I would like to read it. Medieval Christiandom, aka Europe, emerging from its “Dark Ages,” learned both algebra & zero from its Arab neighbors & opponents, along with a lots else. However, these technologies had been developed centuries earlier by Hindu mathematicians, who had themselves borrowed some ideas from classical Greece. in Amsterdam — Dutch, but hey, we got (among others): ‘mazzel!’ or ‘mazzels!’ meaning (informally) ‘bye!’ or ‘see you!’ though maybe still with connotation of good luck or success, which I like. I also like ‘feh!’ a lot, but learnt only now it’s from Yiddish. I almost didn’t give you the pleasure of acknowledgement. No one here claimed anything even remotely near the thought that Yiddish isn’t made up of other languages. Infact, many people here told stories about relating these words to other words they knew. If you were paying attention or read the other comments you might have picked up on that. But I have a feeling you were here to vent out some pent up frustration, and I honestly don’t think this is the place. Also, I noticed that you speak English. Let me tell you a story. Once upon a time, the Germanic lands were made of different tribes. Cultures began to spread, as cultures will do, and English started forming just West of these tribes. There were some battles, and the places forming English generally put the losing side of the German language inside the “Commoner’s words” that everyone would use, such as “Hand”. French became the influence on the winning side, in those who gained money for things such as “Antiques” and “Banquets”, French words that became common English. There was also a mix of Latin. The end. Maybe you’d want to consider where your own words derive from before you use them to slander another culture, no? Maybe I was a little harsh in the above comment. Not on you, Ruby- no, you need harsh words to help understand some ideals obviously not ever placed on you. What I want is to make clear that I love the German language. It is what I took in High School and I know more about it than I do Yiddish, which is saying something considering I am not at all German and half my relatives are Jewish. (I came to this site to help with the balance of that…) I went to Germany with meine Mutti for my sweet sixteen, and it was a gorgeous and wondrous land. I don’t think they would appreciate your “help”, however, in trying to award them “the real credit”, considering how hard the German government works to remain neutral. I adore your grammar. Proper capitalization and apostrophe placement must not be an important enough concept in your “love so deep for whatever language you are representing” to have shone through your hateful comments on how another form of words is written. that said, i just had to jump in after your grammar comment… as a former proofreader (yiddish major, remember? ha!) i definitely feel the pain of improper apostrophe use; that said, i don’t feel the same about capitalization, and that actually grew out of my time studying yiddish. writing yiddish (or hebrew, for that matter), there is only one case – and everything works out just fine! i do use capitalization regularly for emphasis, and for some acronyms, and of course in professional writing. just thought i’d throw that out there! i’m definitely with you for the rest of your post(s). it bothers me when yiddish is described as “a mix of german and hebrew,” or “german written with the hebrew alphabet” – because neither is true. @ShalomB – you can take an entire class on the topic, but the short version is that yiddish and german evolved alongside one another. german was spoken germany, but yiddish was spoken throughout ashkenaz – from the western boundary which was the same as the westernmost edge of germany, stretching east to russia (belarus, lithuania, rumania, poland, etc.) while western german sounds very close to german (in terms of vowel pronunciation, etc. ), eastern german does not – i used to try to compare vocab pronunciation with a german friend, and the closest comparison we could make is someone speaking a southern dialect of american english (e.g. south carolina, or alabama) talking with someone from australia – you have a lot of the same words, but with very, very different vowel pronunciations, and a good deal of different vocabulary because you have loanwords from different languages. don’t let this be misleading, though – while these examples are different dialects of the same language, both german and yiddish are unique languages, each with their own various dialects. i’ve already gone on too long, so in an attempt to avoid going into specifics about morphology and other areas i struggle to remember without consulting old textbooks, if you’re interested, i highly recommend anything on the topic by neil jacobs. a good start would be _Yiddish: a linguistic introduction_ By Neil G. Jacobs. oh dear, in the first paragraph, “western german” should be “western yiddish,” same for “eastern german” > “eastern yiddish” – sorry, it’s after 1am and i think i’ve stayed awake longer than i should have. I just got around to reading this fantastic post. It brought back my German granny’s voice. I wasn’t aware that there was only one case in Yiddish. It actually seems like a good idea not to have to worry about capitalization and focus solely on your words. Unfortunately for my brain, I grew up capitalizing English and adding in even more upper-case letters in my German writings, and although it’s a cool idea, I don’t think I could handle it. 🙂 Thanks for the info, however. It’s fun learning things like that and really, this site was made just for the purpose of doing so. Very well Ruby, (what luck for you that I learned something) I won’t reprimand you on that part of your post, but I still feel the need to call you on your attitude. It’s one of those things that you knew existed but nobody ever mentioned – the four dialects of Yiddish. I never. But then, I can understand some Yiddish, but not all. Die Gemmora ist Bleib schwere. But I am interested – what are the four dialects of Yiddish? did you know that schmackel means willy? A word I use all the time is Shmei–meaning to shop, but not too seriously. ‘Shmeiing ” is sort of like window shopping, but you might buy something. That word has found its way into the vocabulary of all my friends-Jewish and not. My Hispanic co-worker asked me if I wanted to go shmeiing after work today! 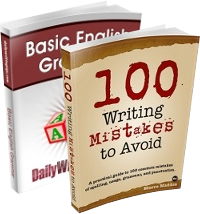 this is the best book for me but i want to see basic rules of grammer .which did’n i find. “It’s one of those things that you knew existed but nobody ever mentioned – the four dialects of Yiddish. I never. But then, I can understand some Yiddish, but not all. Die Gemmora ist Bleib schwere. the easiest way to explain without the ability to draw a picture is to have you imagine a rectangle – thinking of pre-wwII europe, on the left (west) is germany, on the right (east) is lithuania, romania, poland, russia, etc. the 2 main dialect groups are western and eastern yiddish, divided that way. i’m not as familiar with western yiddish because it is much closer to german in terms of pronunciations (as they evolved side-by-side) and we studied primarily eastern yiddish. i believe there are subdivisions within western yiddish, though, perhaps not as clearly differentiated as those in the east. within eastern yiddish, there are 3 major subdivisions: northeastern yiddish (which we studied, specifically – as spoken in belarus, russia, etc. ), southeastern yiddish (more like what was spoken in the areas including romania), and central yiddish (spoken in the areas in between, including poland). along with the different dialects came different customs and cultural differences; this is similar to how in the united states you have american english divided, simply speaking, into 3 dialects* northern, central (or midland), and southern, but within each of those dialects there are sub-dialects (e.g. boston vs. brooklyn vs. minnesota in the north, washington dc vs. pittsburgh/appalachia in the midland dialect, or williamsburg va vs. tennessee vs. texas in the south). hope that was helpful and not entirely confusing! Weigh two meny mispelings hear. BTW, Yiddish is empirically a language derived from German. There is no argument — even among those who profess to have college degrees on the subject. Sure, other stuff crept in due to emigration, immigration and the tight Jewish community. But just like Pennsylvania Dutch, like duh, it’s German. i DO have a college degree in yiddish. i’m not sure if you made it down to my most recent comment (in response to another commenter), but while yiddish is a germanic language (as are english, and swedish…), it is NOT derived from german. please look into finding books from an actual academic/linguistic perspective, such as _yiddish: a linguistic introduction_ by neil jacobs. The German language belongs to the indo-european language family and uses the Roman alphabet. Persian (farsi) is likewise an indo-european language; however, it uses the Arabic alphabet and in some regions the Cyrillic alphabet. Which does not detract from the main thrust of your argument, although your statement is incorrect. Fascinating! Thank you for all the comments here. I was under the impression that Yiddish not only iincluded German, Hebrew, Aramaic, and Russian, but also French – as the servants to the Russian court were Yiddish speaking Jews, and the Russian court spoke exclusively en Francais. Can you elucidate on the veracity of this point? Some years ago I discovered that Gabby Hayes’ nickname, “Crazy Old Galoot” was derived from/related to Jewish peddlers in the West, living far from their families/synagogues, scratching out a living as the ultimate non-conformists to WASP culture, living in the /galoot/ (diaspora). Last night, after sundown, I watched Bogart & Bacall in “The Big Sleep” on our free netflix account. Suddenly I hear Bogie referred to as a Shamus/Shammus and thus recalled countless 30s to 50s movies and tv shows referring to private detectives and even occasionally to police with that term, and then the penny dropped: those guardians of law & order, truth, justice and the American way, were named after the guardian candle on the Menorah, the one that brings light to all the others, and to the guardian/ custodian of a synagogue. How many other hidden HollYiddishisms have we missed? Great site and a very interesting discussion. @ Jenn . You wrote “yiddisch…it is NOT derived from german” and that sounds quite odd to me. When small groups of Ashkenazi jews settled in the Rhineland in the Middle Ages, they developed a Germanic language so close to German that anyone with knowledge of German – or any Scandinavian language (I am Swedish) – could grasp the content. I have also seen some yiddisch texts written in latin letters and it seems like the grammar is very close to German. If Yiddisch did not derive from German, either the German language derived from Yiddisch (which it did not, since German came to the Rhineland long before Yiddisch), or the two languages have different roots. But since the two languages seem to share grammar and most of the words I do not think that you can seriously claim that they have different roots, at least not from a linguistic point of view. So as I see it Yiddisch is a germanic language, it has derived from German and it has over the centuries evolved further away from German, both in spelling, pronounciation and by adding new loan words. Or did I miss anything? I can not imagine that galoot is related in Yiddish to “golus” (exile). I thought galoot was Irish. “Shamash” is Hebrew for servant. So, the candle in the middle of the menora is the servant for the other eight. The custodian of a synagogue is the servant to the synagogue. Shamash does not have the connotation of a slave/servant, it usually is more like “public servant”, i.e. police officer, mayor, teacher, etc. Therefore, as a metaphore, a PI is a shamash. Sort of. I can’t believe that this thread is still going. Enough with Yiddish already! Pick on Irish maybe? @lars – you are right, they are very similar in many ways, but that does not mean one was derived from the other. they evolved alongside one another in a particular geographic area. western yiddish (spoken in areas in and around germany) sounds much closer to german than central or northeastern yiddish (spoken in russia, lithuania, etc.) – same language, different dialects, much like the differences in pronunciation/vocabulary between alabama, and pennsylvania, and minnesota. german, yiddish, english, swedish, etc. are all germanic languages with many similarities in grammar, syntax, morphology, etc. just as hebrew and arabic are both semitic languages, and how italian, portuguese, spanish, and french are all romance languages. much as the romance languages all evolved from a common ancestor (latin), the germanic languages all evolved from an older, pre-german (or proto-german) language. to suggest that yiddish is derived from german is similar to insisting that french and spanish are derived from italian since latin was the language spoken in rome. a more accurate understanding is that these language families are made up of members who evolved alongside one another from a common ancestor, with many similarities in structure as a result of that commonality, however also many differences thanks to the geographic, cultural, and religious separation. @ Jenn: I’m afraid your our comparison Latin/Pre German doesn’t work, due to timelines. First, yes. At some point in history there was a common Proto Germanic language that later evolved into a number of different languages. But! 1000 years back (give or take a century), when the Jewish settlers came to the Rhineland, the majority population did not speak “Germanic” or “Pre German”. At that point the proto germanic language had since long already evolved into (very simplified) “Anglo-Saxon” (see Beowulf) “Danish Tongue” spoken in Scandinavia (Swedish has derived from this), “Gothic” (East Germanic, extinct today) and “Diutisc” Medieval German (Althochdeutsche) for “the language of people” (as opposed to Latin). So, when a small population, previously not very well known as speakers of any Germanic language, settles in a German speaking area where they become a very small minority, and they start to speak a germanic language, how could that language not be derived from the language of the majority? And further on, in the Middle Ages I have understood that Yiddisch was called “taytsh” (טײַטש), compared to “tiutsch” (the name om German had developed). This is not about history, culture or ethnicity, my view concerns only the linguistic aspects. Thanks to Michael for the great post and thanks to all the commenters who provided additional helpful info. I’m trying to achieve authenticity in a Jewish character I’m writing. His father came to the U.S. from Poland when he was a little boy, after his grandparents were killed during WWII. My character grew up in New Jersey in a Polish immigrant community with a significant Jewish population. I use Yiddish in both his internal and external dialogue. Do you prefer to read Yiddish and/or Hebrew words that have apostrophes and other punctuation or the plainly-written words (as you see in Michael’s list above)? Does the spelling used, i.e. using the “s” version of a word vs the “z” version, have any significance and does it need to be consistent between different words? By way of example, the word “shikse” in Michael’s list can be written as “shiksa.” Would the character who used the “e” version of this word also need to use the “e” version of other words? I appreciate any thoughts you have. I also welcome links to online resources that might help me develop this character authentically. In English, you can read a misspelled word and still understand it. In Yiddish, you have to. That said, I would spell the words like this.